This is a recording from one and only concert of this trio in Poland which took place in Dragon club in Poznań on 22th February 2008. 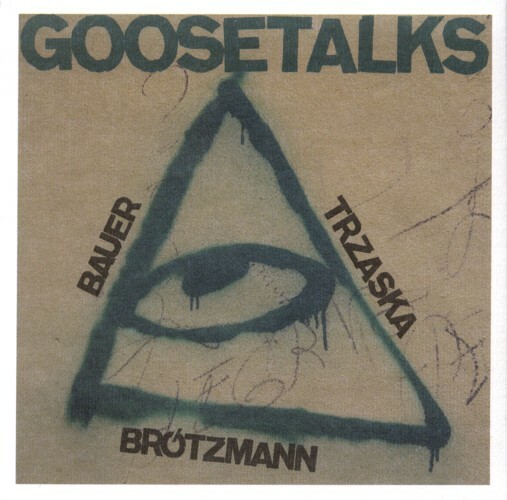 A very special trio consisting of brass instruments: Peter Brotzmann (tenor/alto saxophones, tarogato, clarinet), Mikołaj Trzaska (alto-saxophone, bass-clarinet) and Johannes Bauer (trombone). Brotzmann, born in 1941, is an icon of European free jazz: ucompromised, aggresive and very creative he participated in countless free jazz projects in his career. He also always had an inclination toward Polish jazz and cooperated in 60ties with Tomasz Stańko. His relationship with Mikołaj Trzaska started at the begiining of this century when they created a band called North Quartet with top-rate rhythm section in person of Peter Friis Nielsen and Peeter Uuskyla. Johannes Bauer is perhaps slightly less prominent figure than Peter Brotzmann but nonetheless he is top avant-garde and free jazz trombonist in Europe. He was born in 1954, was one of few significant jazz players in East Germany and after reunification of this country continued his distinguished carreer playing with such legendary formation in free jazz as Alexanders von Schlippenbach's Globe Unity Orchestra, Barry Guy's New Orchestra, Tony Oxley Orchestra or Cecil Taylor European Orchestra. As for Mikołaj Trzaska in 90ties he was key figure in Tri-City yass scene with such ground-breaking groups as Miłość (Love) or Łoskot (Din). It is diificult to imagine without his that this revolutionary event as yass ever took place in Poland and tgrough this participation in this event he (among others) changed the history of Polsh jazz. Fortunately he did not stop there and is continously developing his music through cooperation with such foreign top players as Lester Bowie, Jean Luc Capozzo or Joe McPhee. He also set up 1kilogram records company to forward his music to the lovers of free jazz in Poland and abroad (http://www.kilogram.pl/). "Krzysztof Urbański debut recording titled simply Urbański announces the arrival on Polish jazz scene of extremely talented saxophonist. In his playing, technically impeccable, there is present whole tradition of jazz saxophone masters in persons of John Coltrane (Urbański's interpretation of his Giant Steps is small gem of this record), Sonny Rollins or Joe Henderson. In terms of technical ability, musicality and creativity (he composed majority of the songs present on this album) Urbański may be compared to Joshua Redman. Like Redman Urbański is devoted to traditional jazz, uncompromised by unnecessary additions from musical genres other than this which he loves most. But what is most important this straight-ahead, mainstream and bop climate always sound fresh because the attitude of Urbański and his colleagues towards jazz is joyous, daring and adventorous. This new bunch of pirates arrived on Polish jazz scene that shall bring us many more treasures in following years!" "To the music which we ancounter on Krzysztof Urbański debut album one may apply such terms as mainstream, straighthead and post bop. But also conservative, predictable, obvious. Well, perhaps, my inclination toward free and improvised face of jazz speaks here for itself but although I admire technical capabilities of musicians involved in this project I still must confess that nothing on this record suprised me. I felt like all notes and tempos were perfectly executed but I could also forsee them for ages before and, worst of all, I have a strange feeling I already met them thousands times before. Listening to this excellent musicianship in progress I could not help but see some similarities between Urbański and Joshua Redman who also is technically stellar but sounds to me always secondary to his obvious masters in persons of John Coltrane, Sonny Rollins or Joe Henderson. Whether Urbański (and his cooperatives) will be able to deliver something more challenging over following years remains an open question...". 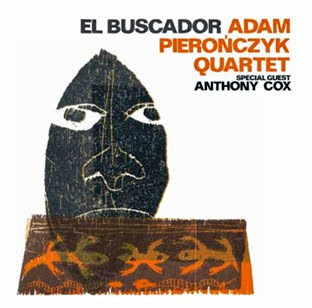 Born in Braniewo in Pomerania, living in Cracow, educated in Germany, exceptionally gifted tenor saxophonist Adam Pierończyk with support of American bassist Anthony Cox, Australian trombonist Adrian Mears and Polish drummer Krzysztof Dziedzic explore different places in world in search of musical inspiration. He pick ups what became an important tradition in jazz going back to late John Coltrane of venturing into East in search of spirituality, authencity and candour in music. Rather unsual move in Poland which is often treated as part of East itself but reflecting dramatic changes in country over last years. As we become more and more part of the West we lose gradually contact with the bedrock of our culture. Focused on money, career, status we build all materialistic world while estranging ourself from what is unconsciuos, irrational and childlike. Certainly this music runs deeper than so many albums I reviewed on this site but it is only possible because it is executed in excellent way by musicians whose style fit one to each other perfectly. Adam Pierończyk deserves highest praise for being able to secure cooperation from artist of such a calibre while special gratitude shall also go to organizers of 2005 Leipziger Jazztage who gave Adam carte blanche to put together a project of his own for this event. Another bow also for Austrian Jazzwerkstatt record company who took on itself the task of printing this record which was accomplished perfectly. My strong recommendation! I was very skeptical about this album but only up to the point when I put CD in my Marantz CD player and started to listen to the music itself. Certainly it is not avant-garde or ground-breaking but it is nonetheless unpretentious, communicative and charming. 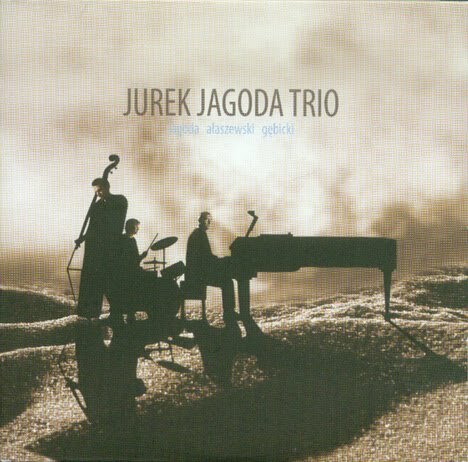 The trio consists of the pianist Jurek Jagoda, Marek Ałaszewski on bass and Paweł Gębicki on drums. I found that it is their second album but I treat it as debut because up to this point nobody I know heard anything about them. This record was attached to March copy of JazzForum magazine so they immadietely got recognized by jazz audience in Poland. Exactly as title of the album suggests this music is constructed around tunes. It reminds me somehow debut disc of Manu Katche Neighbourgood where melodies also played main role. I must admit that Jurek Jagoda compositional talent is exceptional and all his melodies are colourful and captivating. It is interesting where his road now shall lead him. I would expect from him and his collaborators to focus more on interplay between musicians, on rhythm and improvisation. All in all we welcome with this disc new interesting pianist on Polish jazz scene whose developments I will observe with interest.